From time immemorial (or beyond the reach of my memory, anyway) Rexann Hulsey was the lady who made our cakes. Twice a year, when my brother and I celebrated birthdays, we had one of her delicious sculptures. I knew that not everyone had such wonderful birthday cakes. I knew we were special. 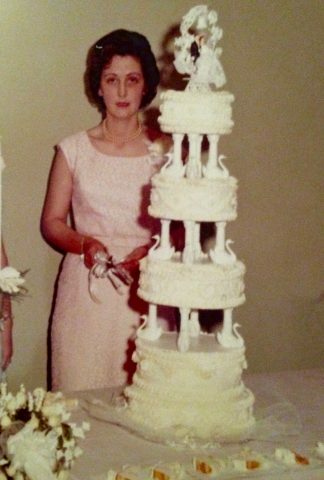 We always knew (and often heard again) that Rexann’s first wedding cake was for my parents, and that it was the start of her 50-year catering business. She could make a cake like any other—a sheet cake with the scallops on the edges and beautiful flowers made of icing, cakes from special molds shaped like Scooby Doo or Raggedy Ann, layer cakes, and the works—but she could also make a cake like no other. When Jody and I were little, most of our cakes were nothing short of art. 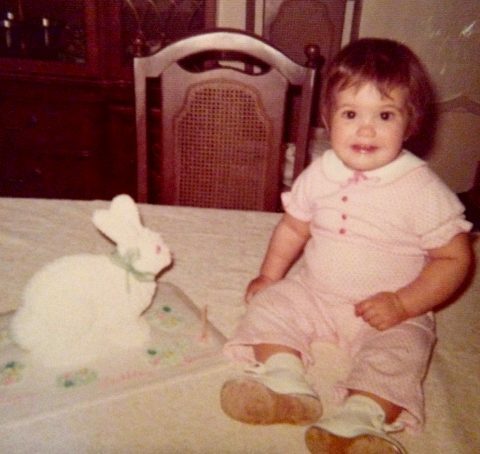 For my first birthday, I had a bunny cake. It sat up like a real bunny. I still don’t know how she managed that. Jody had Snoopy, (lying on his back as if on the doghouse,) footballs, basketballs, and a train. 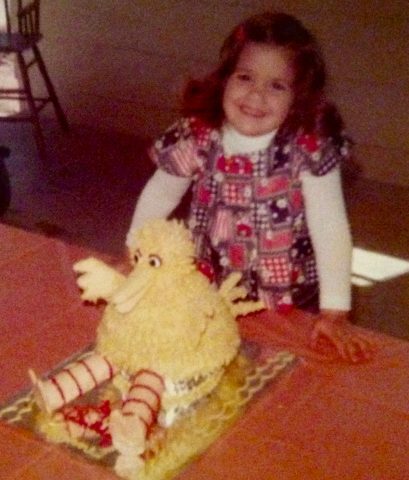 I think the one that impressed me the most was the Big Bird cake she made for me. Beak, wings, striped legs, and every little feather were all there. It was always upsetting for us to cut into those creations. We always mutilated them as gently as we could, saving the most wonderful and intricate parts for last. The candles are important. Rexann always thought about the little things, about the details, about the people in her life. That’s what I will always remember about her with the most gratitude. She was one of my early teachers in work ethic. When I was old enough to be useful, she hired me a few times to help out with weddings on the weekends. She and Arnold (and Carolyn, Barty, and Stuart) had their hands full with weddings for many years. When I was a teenager, I wasn’t really aware of all the details that went into receptions, and although I wouldn’t hear the term “Bridezilla” for some time I started to understand what a stressful mess it could be to cater a wedding in the 1980s. On those few jobs, the Hulseys taught me about how to make the details look beautiful without being seen or heard, how to remove a mess quickly, and how to make someone else’s special day run without a hitch while staying out of the way. I knew that she never froze her food, that she stayed up for days on end before a big wedding so that everything was fresh. She kept up to date on techniques; I owe some of Mom’s most delicious tricks to her friend Rexann. What she did was a masterpiece of hard work, of excellence, of humility, and servanthood. I never knew Rexann before she was a caterer, but this is what I always saw in her. She was always working and always serving. Her daughter-in-law was telling me last night that not many people appreciated what an artist Rexann was. She liked to draw pictures (doodles) for her grandchildren, she was a beautiful seamstress, and the beauty she could create with food was not limited to cakes. It makes sense to me that she was an artist. She observed, she remembered, and she applied what she saw in people. She was so special to so many because loved the people in her life so accurately. In the last several years, I’ve gone less often with my parents to Rexann and Arnold’s house (even after his death, it was Rexann and Arnold’s house.) Now that I have a job that puts me in the middle of people all of the time I find it harder to spend time in big crowds of people, and the Hulsey house was always a big crowd of people. But here’s what I loved when I went: Rexann understood me. She always found a minute when I saw her to block out all the hubbub around us and just talk to me. She always knew what I was up to, she always asked me about the little important things in my life and about the things I loved. She didn’t try to draw me out; she brought herself to me. She knew where to put the candles. They loved us well. They were family and friends, but the sum of those two parts doesn’t nearly amount to the whole of who they were.